The intelliPTS module provides the trace and tracking of the production flow. It is capable to record the production steps and statuses in tight connection with PLC module. The individual identification of products or product groups (lots, batches) is also possible with the integration of identification module. The module could assign the production flow with the production people. With the help of functions the strictest legal and standard requirements will be fulfilled. The module in automate mode catches the status of equipment (start-stop), and records the production pieces. The user interface provides possibility to enter the scrap, rework quantities, and downtime reasons. 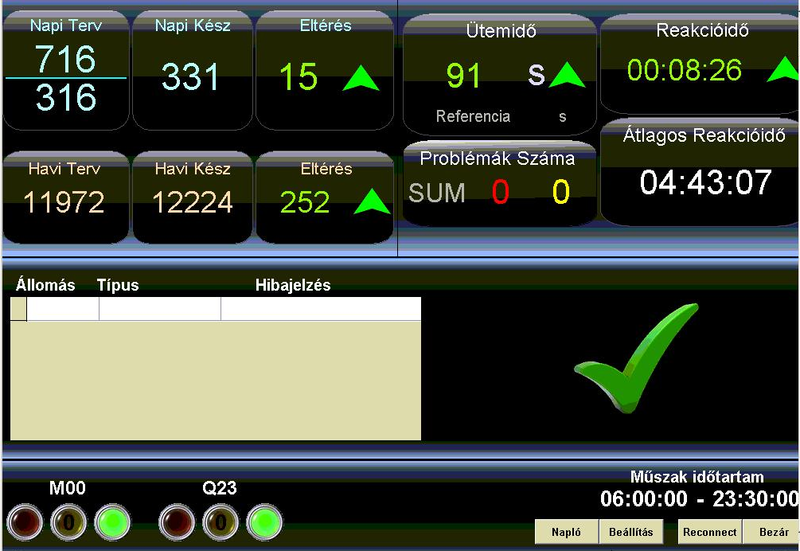 The module calculates automatically the equipment efficiency (OEE) based on the recorded data. The plan-fact data could be shown on the big screens connected to the system, for production people by period of shifts, days, weeks or month.